Minimum order with your imprint, 96. Quantity variation +/- 5% is possible & billable. Setup $62.50 No imprint. No Setup Charge. 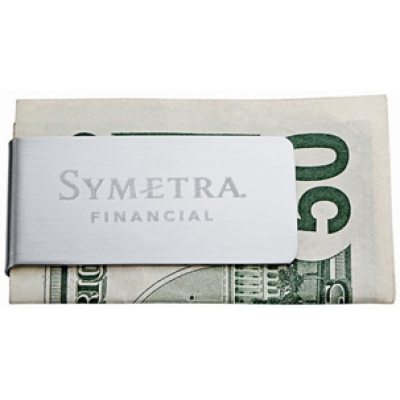 Zippo offers this neat money clip in a compact design. It holds paper currency and credit cards. Size: 2" x 0.21" x 1". The price includes laser etching in one location. Material: Silver colored metal. Size: 2" x 0.21" x 1".